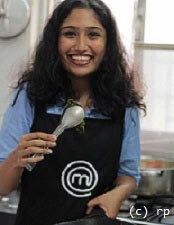 Riya Patel is the tiny, shy girl behind Yummy-Inside-My-Tummy – a blog curated by her for food enthusiasts. She was nominated for the category of Best Debut Blog and Best Restaurant Review Blog at the 2015 Indian Food Blogger Awards. Riya likes cooking, baking and dining out – not entirely in that order. She is a huge fan of Italian cuisine – loves her pastas and pizzas more than anything else in the world. She calls herself the ultimate Dessert Queen because of her weakness for anything soft and sugary. Riya has just completed her Bachelors in Mass Media (BMM) at Sophia College for Women, in Mumbai. Always ready to travel and explore new places, she feels that life in Mumbai has been a truly amazing journey, but Bangalore will always be home for her. When she’s not blogging, she has a full time job as a Food & Beverage Content Writer at Crowne Plaza, Bangalore. We now chat with Riya about vacations, food, and taking that break from work . . .
Q: What do vacations mean to you? New experiences, places and people? I usually need a vacation when I get stressed out with work, and that’s how the recent trip to Goa happened – I really needed a break after finishing my boards. A vacation for me is my time - where I get to chill and unwind. More importantly, when I’m on vacation, I get to review and talk about interesting foodie places for my blog. Let’s take Goa for example - it has so much to offer in terms of rich, local flavors for the hungry traveler, and the food enthusiast. Talk to friendly locals and they will tell you how seriously they take their food. They not only take pride in what they eat, but also the way it has been cooked. Q: How different is a vacation with the family? As compared to a vacation with your friends? The two are completely different. A vacation with the family is invariably more relaxed and planned, whereas with friends you could just pick up your bags and go – you think just like them, and largely go with the flow. From my point of view, it’s not either / or when it comes to the two – you need to vacation with your family and you need to vacation with your friends. When you’re younger, I guess it’s more chilled out to vacation with friends and you end up exploring and discovering more of what the place offers. Q: What do you really look for when you’re on vacation? When I’m at a new place, I love learning about new things, chatting with the local folk and discovering their world. Like on my recent trip to Coorg, we stayed at a homestay and enjoyed every moment – and just one visit here can treat you to a slice of their culture. When I’m on vacation, I also look for a great package. The hotel, or resort should offer me a nice comfortable room and additional services at a reasonable price. You should feel happy about what you’re paying for. A lot depends on the kind of place you’re visiting too. Q: What would you look for in terms of facilities, food and local cuisines? From my point of view, I’d start with a good theme restaurant, because that’s something interesting we can explore at the resort itself. Other check points could include a swimming pool, spa, health and fitness centre. Since I am into food blogs and reviews, the first thing on my mind is trying out local cuisine or what the place is best known for. Goa, for instance, is a world kitchen with hundreds of ways to cook what you have always liked – right from lobsters, crabs, prawn, calamari mussels - rava-fried or masala-fried - to the ever-so-famous Goan sausages, chicken cafreal and beef vindaloo. I also look for hole-in-the-wall kind of places - the food here could be tastier and made with local produce. And sometimes, nothing gets better than a couple inviting you over for a nice home cooked meal. Q: What would you look for in terms of quality of service? I believe in the equation called value for money – and generally end up evaluating quality of service with that in mind. Having said that, I don’t mind paying extra to get good service and food. From what I have heard, the better players in timeshare pay a lot of attention to quality of service – which means there’s a thin line between service standards at a hotel and a timeshare resort. They are in the same space, so that’s natural I guess. Q: What would you look for in terms of holiday activity? That’s a very useful question. Holiday activity could depend on the kind of place I visit – especially the location of the hotel, or resort. A beach location automatically means most activity gravitates around the beach. A hill station, on the other hand would encourage you to go for lots of walks, treks and explore local touristy highlights. To answer your question, in addition to a physical listing of outdoor activities, I also seek out local experiences – shopping, food, and other unique takeaways. Q: What would your advice be to people who find it hard to take off on a vacation? Take that vacation - you’re bound to meet interesting people, and sometimes that can be very, very inspirational. On my recent trip to Goa, I had the opportunity of meeting Odette Mascarenhas - television host, celebrated author and a critic of culinary preparations - she is also the inspiration behind the Goan Culinary Club. Talking about timeshare, I did check out your website and found some very familiar names on it, such as Mahindra Holidays and Sterling Holidays, in addition to many more seasoned players. Timeshare seems to be an interesting vacation format and I must explore options maybe five years from now – it’s on my list of things to do.